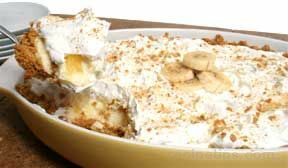 Butterscotch pudding spread over a sweetened cream cheese layer makes this dessert a creamy delight. 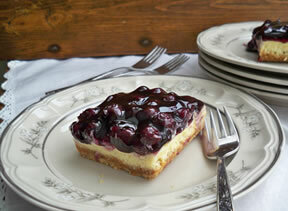 This easy to make dessert is one that will leave them wanting more. Mix the flour, pecans and butter together; press into the bottom of a 9 x 13 baking pan. Bake for 15 minutes at 350 degrees F.
Allow the crust to cool while blending the cream cheese and powdered sugar together. Once the cream cheese and powdered sugar are well blended, add 1 cup of cool whip. Spread over the cooled crust. Follow the directions on the pudding package for making the pudding except only use 2 1/2 cups of milk for both packages of pudding. 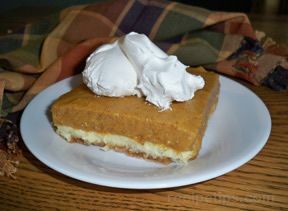 Spread the pudding over the cream cheese layer and then top the pudding layer with the remaining Cool Whip. Sprinkle the top with a little chopped pecans. Refrigerator overnight or for several hours so that it is chilled completely before serving. 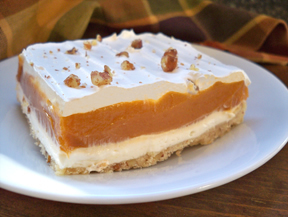 "I have had this type of dessert before but never made with butterscotch pudding. Loved it! My kids gobbled it up too except for the crust . . . typical kids!"